In part one of our series on guerrilla marketing, we took a look at how the movement began. In part two, we explored some of the earliest instances of guerrilla marketing. Now we’ll explore what happens when the underground advertising movement goes mainstream and elephants go guerrilla. The heart and soul of guerrilla marketing, according to J.C. Levinson, is its sparseness of budget and abundance of creativity. Since guerrilla marketing has entered the mainstream, however, the term has been applied to just about any type of advertising that attracts attention in an unconventional manner. When a small business uses a guerrilla marketing campaign to create a buzz, it’s on a shoestring budget and it has to make a huge visual impact. But what about when a well-established company decides to embark on a campaign using guerrilla tactics? Their budgets are massive, their names are already well-known, and there’s no requirement to make a good first impression. In a way, big-budget guerrilla marketing isn’t really guerrilla marketing at all. 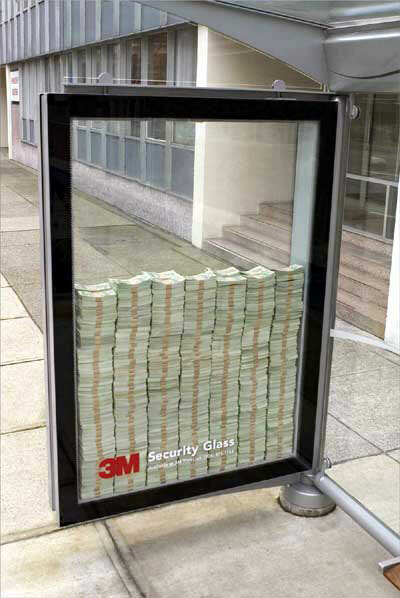 In fact, guerrilla advertising can be extremely risky for a well-known business. If the message isn’t clever enough to catch our interest and hold it, the attempt can look pitiful. In the worst case scenario, an established business trying to tap in to the modern method of guerrilla marketing can come off looking like a retiree wearing a mohawk and Chuck Taylors: it just isn’t right. Is it possible for a large business to launch an edgy and modern campaign using guerrilla tactics to attract attention without alienating its established customer base? That depends on a lot of factors, as it turns out. Despite billions of dollars spent on research every year, advertising isn’t an exact science. When Microsoft unleashed thousands of butterfly stickers on Manhattan in 2002, they no doubt thought that the message delivery was edgy and modern. The campaign was mostly met with disgusted groans from New Yorkers…and city officials were most definitely not amused. Microsoft was ordered to clean up the butterflies and issued with a $50 fine (although under city graffiti laws they could have been charged $50 for each sticker). The street cred Microsoft had tried to generate turned into an embarrassing show of public apologies and red faces. But since the point of the campaign was to draw attention to the launch of a new product, the coverage of the decal disaster in 168 news stories does seem like it did the trick. And in San Francisco, Sony’s 2005 guerrilla campaign for the PSP was met with undisguised hostility. 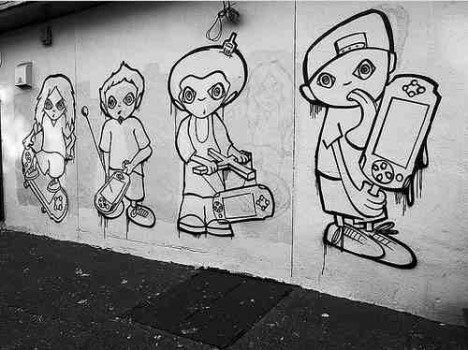 The electronics giant commissioned street artists to (legally) spray paint images of young gamers having fun with the PSP. Residents responded by painting over the ads and adding their own witty commentary, such as “Advertising Directed at Your Counter Culture.” Other cities were slightly more receptive to the ads, but by the end of the campaign it seemed that most of the paintings had been defaced. However, some large companies have had huge success with their guerrilla marketing campaigns. 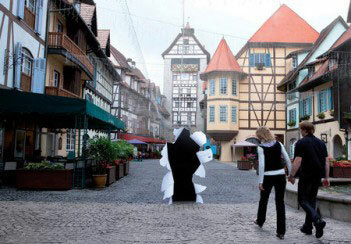 HP unveiled an amazing campaign in Malaysia in May of 2008 that had people literally stopping in their tracks. Life-size cardboard cutouts were placed in public areas with bits of paper protruding from them, making it look like the background was nothing more than a life-like picture printed on HP’s paper – paper through which someone had just walked. The more subtle the guerrilla campaign is for a larger company, the better. Consumers seem more impressed with a low-key campaign that doesn’t relentlessly pound the senses than a high-profile or high-concept attempt. Nissan unleashed a relatively quiet but effective campaign to promote the cars’ new keyless push-button ignition system in which 20,000 sets of keys were “lost” in targeted cities. 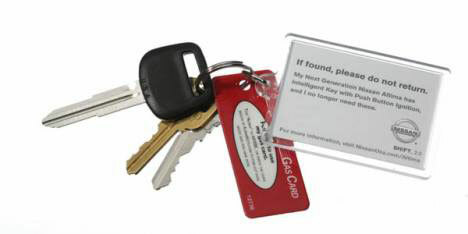 The keys came attached to a tag that directed finders to keep the keys since the push-button ignition made them useless. The message was simple, but effective. It created a buzz that has lasted well past the expiration of the promotion. 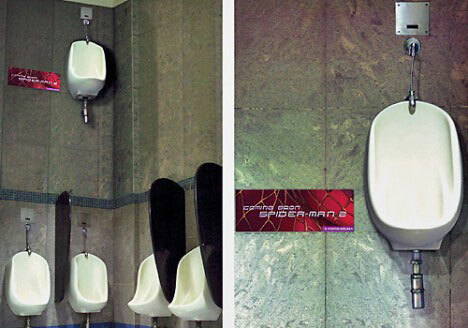 Overall, it seems that the arena of guerrilla advertising can be shared by the big guys and the start-ups. The success of a campaign depends on a very precise blend of timing, method, message, and a healthy dose of luck, no matter what type of company is doing the advertising. The campaign is likely to be well-received if it doesn’t immediately look like an advertisement (especially an advertisement in disguise) or if it’s so clever or inventive that we can forgive the company for trying to commit that cardinal sin of selling us something. We’ve only uncovered the tip of the iceberg so far. Print ads, billboards, and living billboards are one thing. But the advertising game is changing daily as technology improves and consumers require a bigger jolt to get their attention. The solution may just be to set that ad free in the wild and see where it goes. Come back for the next installment to find out how companies are letting you do the advertising for them – for free.